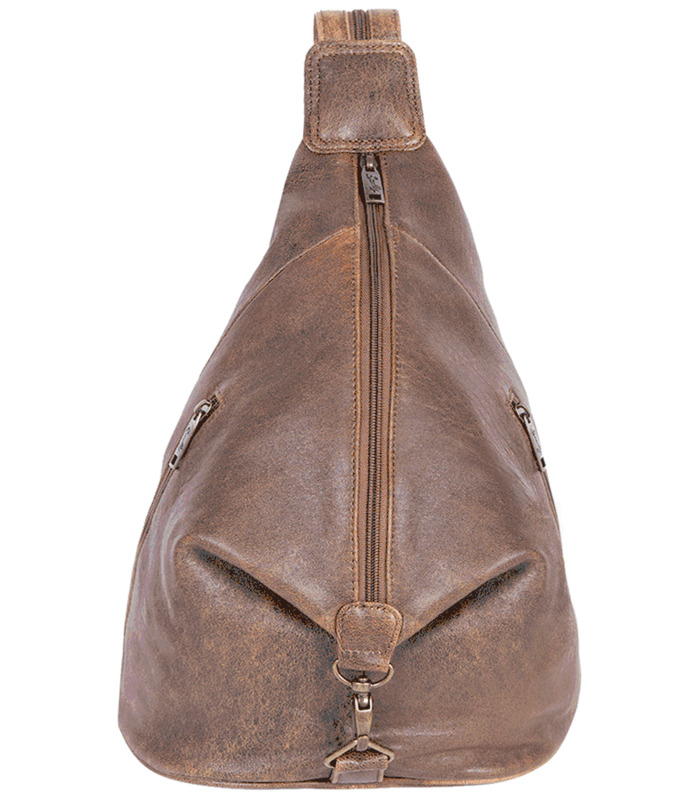 Size: 13 ½" x 9 ¾" x 6 ¾"
Travel Gear – This quality leather slingback backpack is from our Aero Squadron line of luggage. The leather has been distressed providing a classic, yet rugged vintage look. The color is a rich walnut brown that enhances a first-class life style. One of the things that makes this sling pack special is the interior cotton lining. 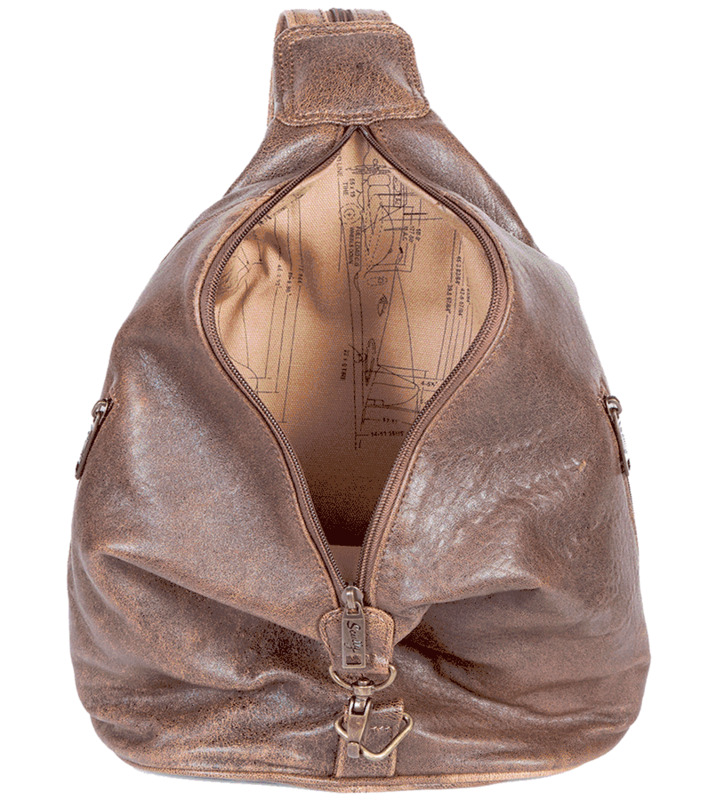 It displays an airplane schematic which adds to the overall “plane” fashion of the bag.